The sole purpose of this guide is to educate the readers/entrepreneurs/business-organizations to turn site visits into sales and to improve the online shopping experience. Use this guide as the fundamental basis of welcoming eCommerce success and how to lead the market by implementing certain key elements described in the eBook. Influencing your site visitors to buy from you shows your conversions ability. It’s not an easy feat to achieve the status of great eCommerce entrepreneurs. It also means to influence site visitors to take other actions that might lead them to convert in future: signing up the newsletter, starting a free trial or creating wish list etc. Many factors kick in while running an online store. But very often, conversion serves as an important parameter to calculate the conversion rate and understanding the site visitor’s interest in your business operations. Conversion rates are important, as it states many facets of business operations, like meeting sales target, fulfilling customer’s needs etc. Moreover, you need to question certain questions that could unlock various doors to find your way to the top. · How fast does your site load? · How fast and reliable is your checkout process? · Do you offer multiple payment options? · How easy your products are to find? These questions may sound simple but have a potential to turn your days. Moreover, there are other important things to consider when it comes to understanding conversions. · Are the visitors coming to your site have the potential to buy from you? · Are you targeting right market? · Are the visitors you targeting the right ones? 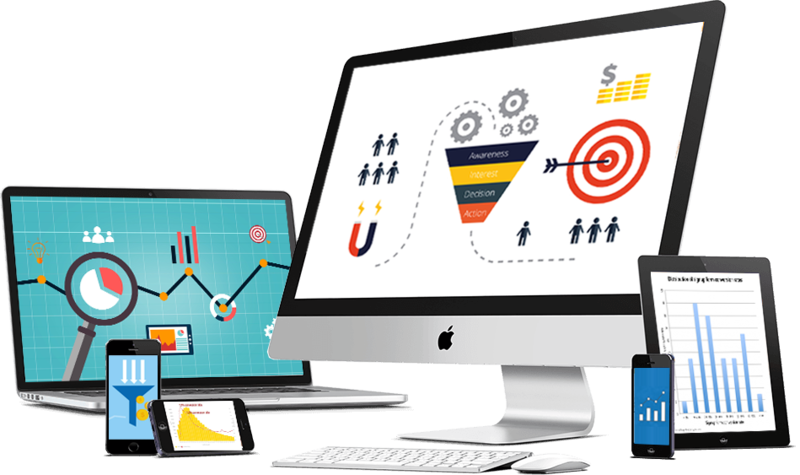 · Are your SEO and Digital Marketing campaign working effectively? It doesn’t matter if you having traffic in millions until it’s not the targeted one, you will not experience real business growth. For instance, if you are selling smart watches, but the visiting user isn’t interested in buying, you will not see business conversions, no matter the amount of traffic on your site. It’s hard to pinpoint one factor that majorly influences in the conversion. Conversion consists of many factors and each contributes equally to influence user for necessary action on the website. Your site analytics, however, can give some insights of not having the conversion you expected. For instance, losing a customer at the checkout page can point towards various issues: security, payment, or pricing concerns. On the other side, losing customers can prospect certain important things, like not paying enough attention to the product detail or right product information. There’s always a room for improvement. Whether it’s 3% or 13% (massive if you can have), there’s always a way to implement a better strategy for bigger ROI. In layman’s term, there’s no perfection and you can incorporate newer ideas to bridge the gap between you and your customers. There was a misconception among the merchants regarding more traffic leads, sale volumes and conversions. As the digital world got matured, they realized the fact of driving traffic to the website is the first step in running a successful online business. An ideal step is to properly optimize your website before heavily investing your resources in SEO/Digital marketing. The mistake that countless merchants commit is to solely focus on promoting their brand to improve conversion rates. It, however, turns out opposite of what they expect and it’s considerably a science to understand the reasons for the failed campaign. The conversion is not wholly dependent on marketing and promotion. The key is to perpetually implement certain important elements that play a huge role in the business growth and increasing conversions: site design, product descriptions, payment gateway system (check-out). It’s on the marketer’s ability to find the nuisance of what can be turned as business’s strong area contemplating the users’ needs and turning the site visitors into sales and leads. It’s a myth to believe shoppers ‘price factor’ as the prominent reason for shoppers leaving the website without purchasing. It’s because they don’t find a relevant product for them. To help your customer find the right product easily, you can use two working methods for the best results: Search and Faceted Search. The size of the search matters. Yes, you read it right. It’s a proven science by industry experts after analyzing countless visitors’ behavior when they find something using website’s search bar. The search bar should be big enough to be visible to the eyes, even people with disabilities can easily find the bar on the site – and it should be present through your site, without removing from the certain pages. Just like Google, try to use auto-complete features, giving users the freedom to type less and get more options related to the product. It’s a prominent feature in your search bar. It narrows down time of the users to search the desired product having the attributes as desired: category, size, color, etc. Your job doesn’t end here. If you include common misspelling and synonyms phrases, you increase the chance to achieve better user satisfaction and enhanced user experience. Make sure you are doing the right kind of merchandise to sell the product, once the user clicks the product to learn more. One of the best ways to win customers is through customer ratings and reviews. This technique works for both parties. Your customers find the reason to shop from you, and in return, you get something to demonstrate your product’s pros and a solid platform to support your own claims. Another way is to add the product to different product categories. The main motive is to expose the product to the customer again-and-again through different navigational routes. The upsell and cross-selling technique is widely used by big players in the market. Expose your customer to expensive items might as per his interests, or suggest him items other people have bought from the store. Create your online image so good that customers won’t doubt before clicking the link. Does your CTA (Call To Action) look good? According to thumb rule, CTA that starts with a verb performs way better than those that don’t. CTAs such as ‘Add to Basket’, ‘Proceed to Checkout’ and ‘Register Now’ should be well concise and highlighted. They are most familiar CTAs to the audience and are responsible to heavily influencing the site visitors to take certain actions on your site. It’s a kind of science to strategically place CTAs at different locations of the site. Many websites ignore the fact of making them visible, which result in business loss. Make sure there’s at least one CTA on every page of your website. Try to make it stand out from the crowd and use different fonts, icons and design pattern to help visitors easily identify them. Another important thing is to differentiate between primary and secondary CTA. Every business wants to increase its sales, but it does not happen always. Getting visitors subscribe the newsletter can also lead to the future sales via email marketing. The future belongs to the fast loading websites. People in the online world are so impatient that they don’t want to wait for more than 6 seconds for the site to load. Nearly 70% leads are lost if the site doesn’t load within the time period. In addition, a second delay in page response can result in 7% sale’s loss. Seeing the number of competitors increasing, the site speed matters more than ever and businesses shouldn’t underestimate it even once. There are many free tools to analyze your site’s loading speed: Google PageSpeed Insights. WebPageTest, Pingdom, GTmetrix. To identify potential bottlenecks, you need to work with the team of experts that can optimize the site to load faster. The Bottom Line: Prioritize the site speed. By the year 2020, more than 75% of regular traffic on the website will be from mobiles. According to an industry report published by comScore, 4 out of 5 shoppers are shopping from their smartphones or tablets. Make sure your site is not only optimized for desktops or laptops only. Even if you are using HD images and videos on the website, it should load faster by properly optimizing the website. The most successful eCommerce websites run on industry parameters having responsiveness to show the content properly without having the user to swipe the page left or right or have to wait for ages for HD images to load or have to compromise with the content from that of the desktop version. These practices are only harmful to the sites and can easily derail the entire eCommerce campaign. The best way to increase user experience on small screen platform is to code your website to effectively detect the mobile browser and run the mobile optimized website version. Another solution that often comes to mind is to create a separate mobile version of your website: Mobile Application. It means separate navigation system, pages, mobile friendly buttons and CTAs. However, it often proves to be costly in the long run to maintain mobile application until and unless you don’t have a good budget to support the technical aspect of the application. If, however, you are determined to develop a mobile application and are ready to launch on iOS and Android platform, consider giving some discounts to the shoppers to download the application. It’s a proven marketing tactics to get your mobile application downloaded and share the space in user’s mobile. There many reasons why some shoppers abandon sales. Those sales, however, aren’t lost and those visitors can be brought back to the website. Nowadays, cross-device marketing has become important as customers keep switching from one device to another until they don’t make payment for the products. Hence, it’s imperative to consider making user experience unforgettable that includes enabling shopping cart functionality. Persistent cart functionality works in a much-engineered way. It enables devices to use the cookies and allows the person to add products to the carts from multiple devices and locations once the person logged on the website. Once you have the user signed up on your website and is currently viewing the product on different devices, you can easily target him through doing cross-device marketing by sending notifications, reminders, emails, texts to remind about the product waiting in the cart. Functionalities such as ‘wish-list’ and ‘save for later’ help during the marketing campaign and keep potential buyers engaged in buying the product. Another thing you can do is to enable ‘Live Chat’ option at the checkout page to clear the doubts of people that’s stopping them from completing the checkout process. A delay in checkout process can easily take away you nearly earned customer. Hence, keep the checkout process as simple as you can. Ideally, your checkout page should be a one page process. Yes, just one page and only have few required fields to fill as much possible. No one likes to fill a huge form of information and opinion that take up to 5 mins. You might have the goal of getting more and more user information to analyze and to advocate your future business strategy, but you might end up feeling like a failure because users who can’t wait for the website to load more than 6-8 seconds, how can they possibly have the patience to fill a huge forum before making payment? Forrester research details the importance of minimizing the demand of asking more information before the payment process, as it results in 23% business loss. The same principles apply for displaying advertisement on the checkout pages because it creates a distraction and can result in cart abandonment. The more options you offer to the user during the shopping journey, the more you divert him from buying the product, and hence, you lose business doing this way. To encourage shoppers to complete the checkout process, ensure them with the logo of different payment methods that show your payment system being fully secured and meeting PCI compliance for secure transactions. Offer multiple payment and shipping options if you want to meet the expectations of different types of shoppers shopping from your website. There are two types of shoppers: one who waits for the free shipping option available, and the other who wants the product right away. Some Shoppers prefer payment via credit card, while some like to choose PayPal or its alternative. In addition, some like to finance their purchases as websites tend to understand the importance of easy EMI option available for the shoppers. According to a study conducted by Forrester Research, ‘Free Shipping’, ‘PayPal’ and ‘Bill me Later’ options affect nearly 32% of sales, which is likely to grow many folds in the coming years. Only 2% people in the survey agreed to shop despite not having free shipping offer available. Nearly 40% people purchase only when ‘free shipping’ option is available. Nowadays, free shipping has become a trend even on a minimal purchase. Some website prefers to offer the option only on selected products, while some websites offer on a minimum total of the products in the cart, like on a minimum $500 purchase. Know your customers as you know your spouse. If you want to deliver an exceptional service, always try to connect with your customer on multiple levels. Segment your customers. Proper segmentation will eventually help you to understand your customers’ behavior and certain demographics (age, gender, country, city, state, and region) to further use the data in the marketing campaign. Even you can use the customer segmentation strategically to collect first-time and unknown site visitors’ data by tracking the items they browsed on the website, which OS they are current using and how they found your website. The deal is to create customer segmentation with little to no customer overlap. Some businesses assign values to different customer segmentations to target better ROI, while some create special campaigns for each customer segmentation and target them for better output. It basically depends on the business how effectively it can tailor the products to produce great results. The last stage is to focus on price promotions. Note: Using too much price promotions can actually harm your business. Hence, keep the things under control; otherwise, it can badly affect the whole business operations. Coupons are often used heavily by businesses as the most effective tools, and some businesses use different coupons for different customer segmentations. In a survey done by JiWire, 34% customers agreed to have redeemed an online coupon in the past 90 days, where only 22% people redeemed a paper coupon. While coupons are great for customers and they keep asking for more from businesses, it’s also great for the companies to track what customers do with the coupons that can help them to alter their marketing strategies and create better working plans to influence better and bigger sales in the future. Know that too much of coupons can actually harm the business, because it raises customers’ expectations to avail things at a low price from the business, resulting in the low profits and less business sustainability. Remember if you make your customers habitual of coupons, they keep delaying the purchase until you don’t offer some discount or coupon to them. Hence, you have to be very consistent in a manner that your implemented business strategy doesn’t addict people to expect the product a very low price, because in the long run, giving products low rates might hurt your retail outlet, or your vendor’s physical store sales. Other than offering coupons, product bundle, and customer reward point program is relevant and is proved as effective as coupons. Product bundling increase the value of average order as there are many products offered at a certain value – often discounted – to entice customers to shop for more and to avail better discount in a bigger scheme of things. On the other hand, customer rewards and points program offer incentives based on the loyalty to build customer satisfaction and long term relationship to leverage more sales and leads. Increasing conversion rates in an on-going process. Businesses that account this process as dynamic, constantly change their tactics to influence the conversion to stay ahead of the curve. To accommodate new product launches, events, new visitors, promotions and social events – it’s important to keep optimizing the website as the market trend or to staying one step ahead of your competitors in terms of creativity and offering unparalleled user experience. For instance, every year holidays come and if you are keen to engage people with your products and are readily agree to offer festive discounts, it’s better to show that on your website, so visitors visiting the site might avail the offer, or you can send them emails as a reminder about the upcoming or on-going sale, product launch, new event etc. Remember the fact that not everyone who visits your website will make a purchase. Some of them, however, may return later to buy something. Hence, the need to optimize a website is imperative to increase conversion rates and to influence every visitor who keeps coming to your site every now and then. You might add non-targeted audience to your customer list once they feel the product’s value in their lives.